I was drawn to the Water Resources Graduate Program because I’m passionate about rivers. After spending all week in Corvallis studying the hydraulics in my experimental channel, I’d paddle natural rivers for fun. 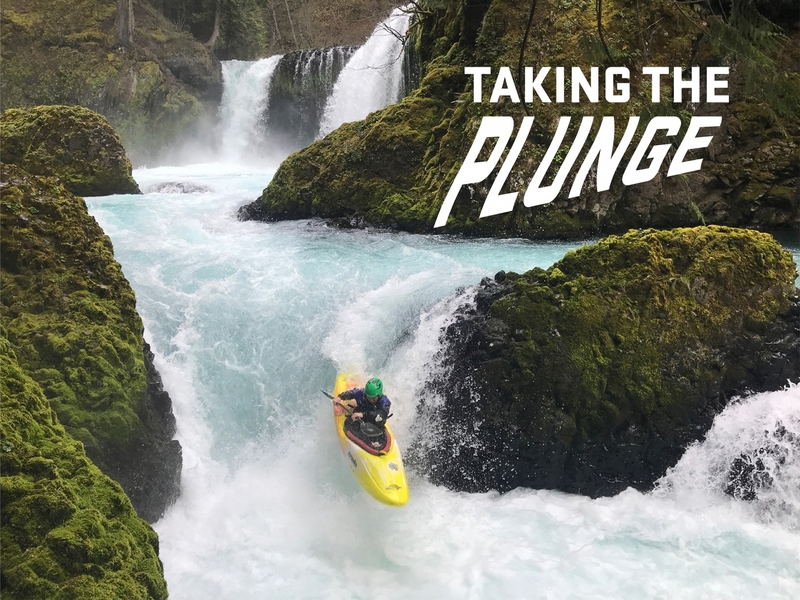 The geology and wet, mild climate of the Northwest makes it an ideal place to whitewater kayak for most of the year. As a result, I’d take most of my study breaks on my favorite rivers in the Columbia River Gorge and the Willamette Valley. A floating guidance structure, or a guide wall, is a long, partially-submerged structure that is intended to alter the hydraulics of a reservoir such that ocean-going juvenile salmon find safe passage options over or through a dam. I studied the hydraulic and behavioral impact of a floating guidance structure in an experimental channel at the Oregon Hatchery Research Center, using nearly 200 spring chinook salmon and a large pump to create a re-circulating flume. Although I found some evidence that velocity gradients may cue fish to change their behavior (mainly by halting in the channel, rather than continuing downstream past the guide wall), I think the most interesting conclusion of my research is that understanding fish behavior is likely more complicated than finding a simple hydraulic threshold at which fish slow down, speed up, or change their swimming angle. Instead, future research ought to examine a fish’s entire hydraulic experience during its encounter with a guidance structure to fully understand the impact of hydraulics on fish behavior. If successful, this research could aid in the migration of endangered and threatened species vital to the Pacific Northwest’s economy, environmental sustainability, and culture. After graduation, I moved to White Salmon, Washington, where I’m applying to jobs in water conservation and river restoration. I hope in 3-5 years I’ll be studying for the Principles of Engineering exam (PE) while maintaining enough flexibility in my schedule to paddle and enjoy Gorge life. Whether you’ve just moved to Corvallis or you’ve lived here your whole life, take time away from your studies to explore the Willamette Valley. The Pacific’s only an hour west, the Cascades an hour east. Within 10 minutes of campus are hiking and biking trails in the McDonald-Dunn Experimental Forest and Chip Ross Park. The Northwest’s the most beautiful place I’ve lived so far – go check it out!